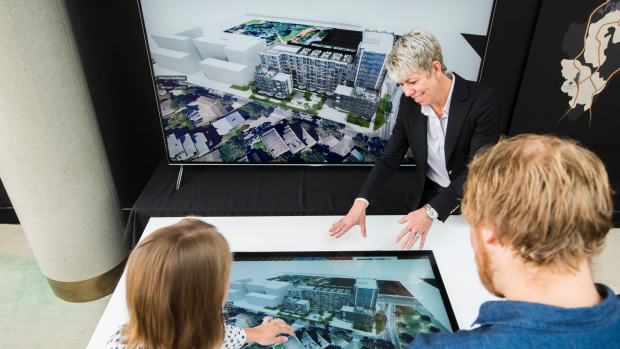 ‍‍‍Created by Australian RealTech company Snaploader, Allhomes 3D models enable prospective purchasers to check out their property options in detail on an interactive and immersive ”Touchtable” or on their own device. For those with a keen eye for interior design and styling, its creative furniture feature provides users the opportunity to configure and visualise how certain items fit into the house. Sales Agent Natasha Johnson with Ashley Collins and Elisa Sko using the VR technology at Geocon’s Metropol pop-up in the Canberra Centre. 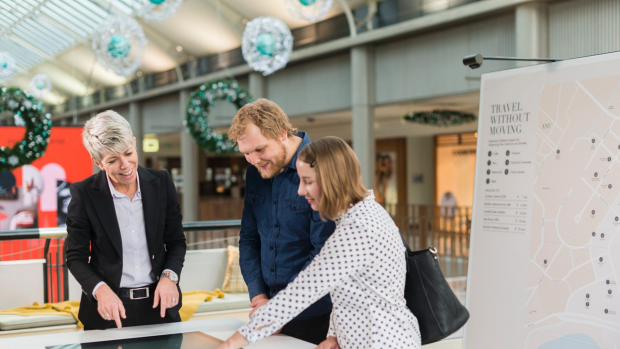 Located on the first floor of the Canberra Centre, between the Country Road an‍‍‍d Jigsaw retail stores, the pop-up, which opened today, features the Touchtable – aggregating leading-edge Australian software technologies driven by the latest touchable hardware and engines. 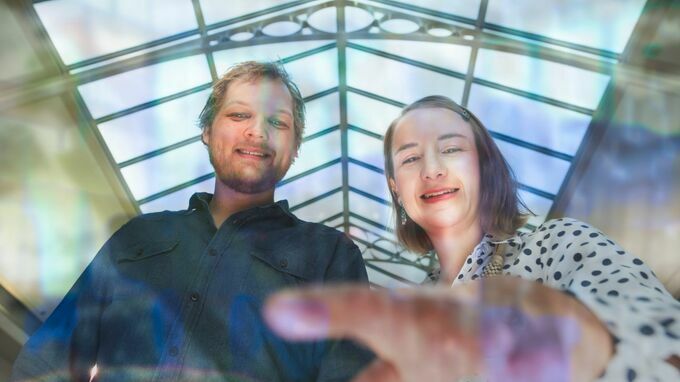 “The Touchtable solution for developers is a brand new product that was only developed in May 2017,” said Snaploader chief executive and founder, Eric Fink. “After customising the product for selling off-the-plan developments, we started showing this total product solution in July. We now have 10 Touchtables in the market, with a 100 per cent rate of repeat business from clients who are working on subsequent projects. 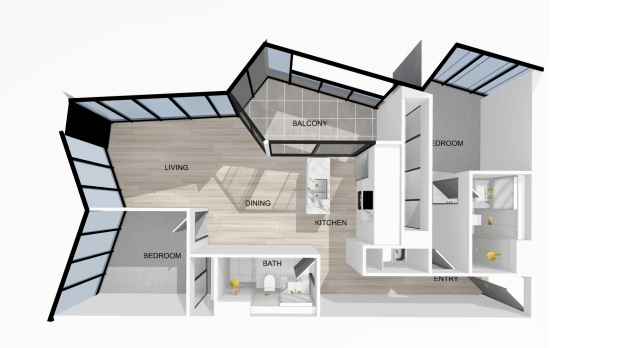 ‍‍‍”Geocon is the only ACT developer using Allhomes 3D models online. 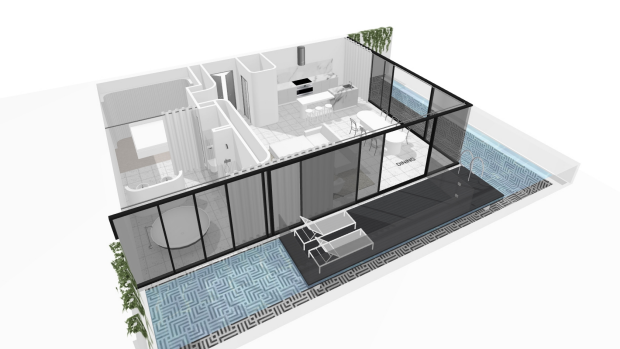 After only a few days, the Allhomes 3D model for Metropol has already enjoyed hundreds of views with an average dwell time of at least seven minutes a view. 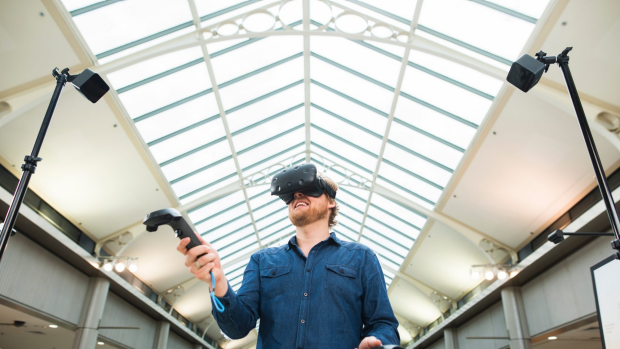 “The high number of views shows the appetite that buyers have to understand their potential purchase better and the high dwell times show how engaged they are with this visualisation technology,” said Geocon general manager of development, Peter Micalos. “This technology augments other technologies and innovations Geocon is employing to deliver a superior customer experience, and to enable prospective buyers to look through and around potential properties before making their final choice. ”More than half of the 250 apartments in Stage 1 of Metropol have been sold.